This is a traditional pattern, and as you change colors, the design takes on a new life. 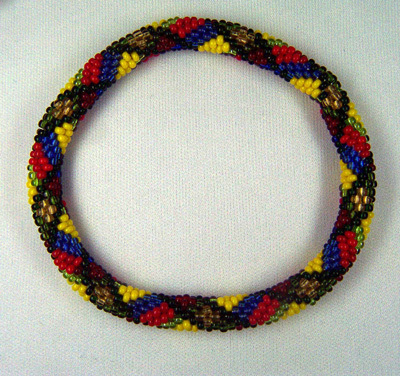 You can have one color on one side of the bracelet, and another on the reverse. If you bead crochet a simple tube, you can add elements to it to dress it up. 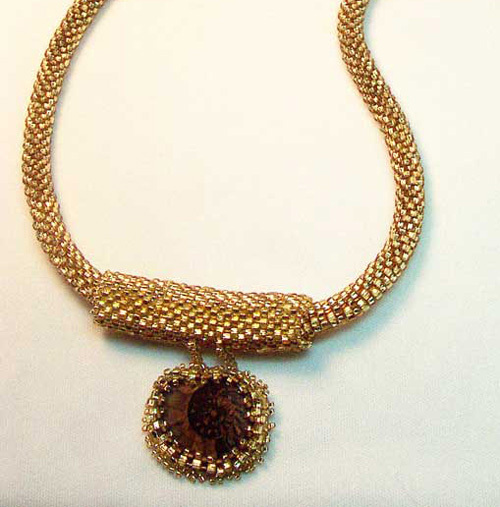 This one has a peyote stitch slide on bail that holds an ammonite with a beaded bezel. This one sold quickly to a fossil lover. 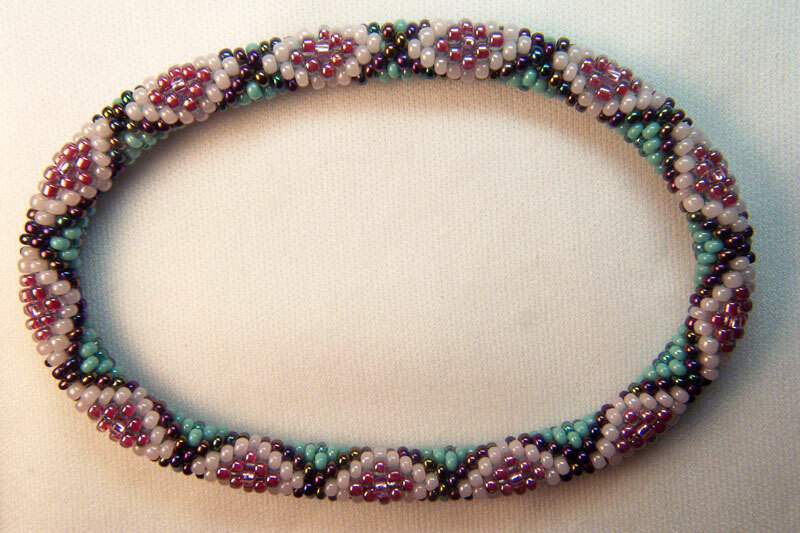 Add daggers to the bead crochet tube and then finish the tube with end caps and a toggle to get this look. I have a series of plaid patterns that I sell, and here is one of them, which is the MacMillan plaid. 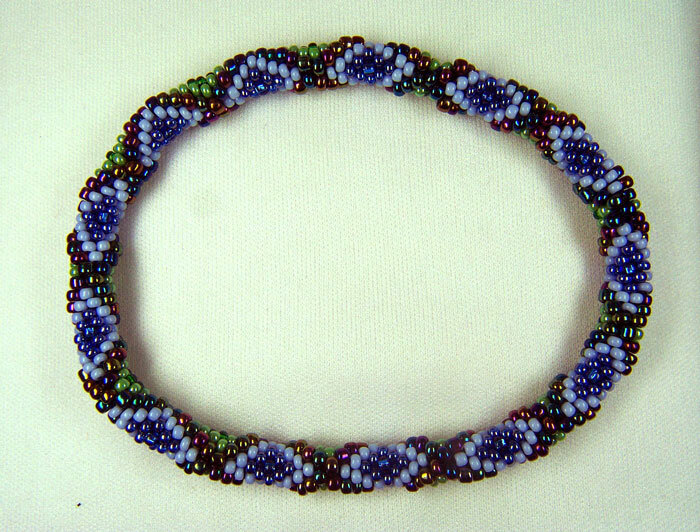 I sell several different bead crochet bracelets, but this one seems to be a favorite. Thanks for sharing your beautiful creations with us. Girlfriend I am always amazed with your work. Each one an inspiration. Keep up the good work. 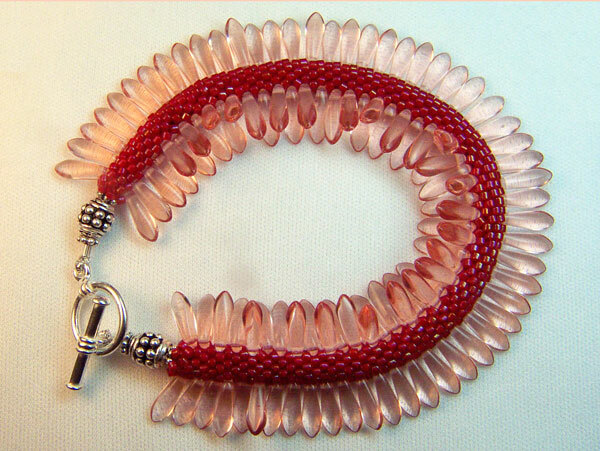 When you know how to do one bead slip stitch, you know how to do all the stitches in this creation. The part that takes some learning is reading the pattern chart. And once you know how to do that, you can make any pattern. Thank you. I'll try to get more pictures posted soon.